From the day she was born, Lil had a book in her hand...so it's no surprise when she grows up to become a librarian herself. She even manages to turn the people of Chesterville-who are couch potatoes-into readers. 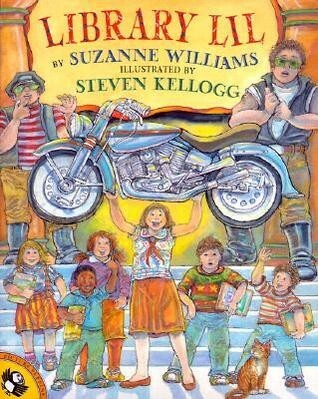 But then Bust-'em-up Bill roars into town with his motorcycle gang. Just mention reading to him and you're toast. Has Lil finally met her match? 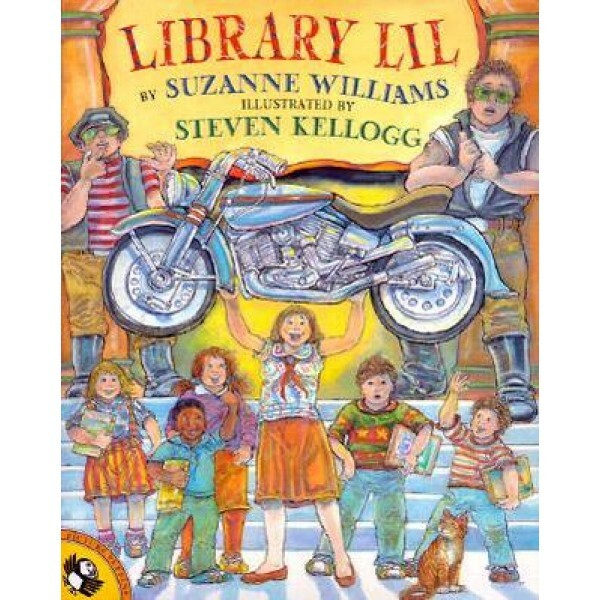 This original tall tale by a real-life librarian, combined with Steven Kellogg's trademark humor, is better than any TV show! "A librarian's favorite fantasy...The silliness of both story and pictures are perfectly matched...A winner for storytimes anywhere."